Great app reviews are essential to pushing your app to the top of search results and reassuring users that you’re the best. Here’s 3 simple tricks to earn five-star app reviews. No matter which type of company you’re running, a bunch of great reviews can be the most influential factor that stands between you and the increased revenue you’ve always been dreaming of. According to a Zendesk survey, 90% of participants state that online reviews have affected their buying decision. The simple fact is: there are still going to be people leaving bad app reviews, it’s inevitable. The goal of this article is to create so many great app reviews to dilute out the poor ones. 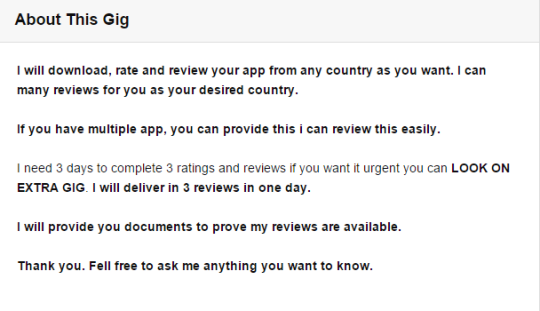 And before you ask… the key to great app reviews isn’t Moriam from Bangladesh writing fake reviews on Fiverr for $5 each. Since you’re a decent person and don’t rely on fake reviews, here are 3 proven tricks to score five-star app reviews. A common and detrimental trend among app developers is that they assume that their users will leave a review by their own free will. Dangerous assumption. The reality is that your app users often need a little nudge, a little encouragement, to rate your app. To encourage positive reviews, include these review reminders after a positive interaction. When they’re using your app and seeing its value. If you do photo-editing apps, include reminders after your users save or share their finished photos. If you do gaming apps like Angry Birds, after they complete a level. You get the point. This is the most simple, but overlooked option. This one is called “incentivizing” but be careful… this one is generally frowned upon (especially by Apple). 90% of negative reviews are because of untimely support, but how can companies effectively handle customer support? If you’re in the early stage (which you most likely are) then this part is easy. You probably handle customer support emails yourself or give this job to your devs who know the app like the back of their hands. But what happens if you grow out of control? What happens when the team is asleep and can’t reply to calls or emails? Most users (especially paid users) are impatient. The more time that customers have to wait for responses to their emails is more time that they will have to search and buy your competitor’s product instead. So what’s the solution to better support? Convert your amateur operation into a dedicated customer support department. This is the best option if you’re looking to be in complete control, but can be very expensive, especially if you need 24/7 support. Start out by investing in help desk software like Helpscout, Groove, Zendesk, or Intercom. Train your employees to use this tool and make sure they’re dedicated to it. Avoid being overwhelmed by customer support tickets like our friend below. Hire professional BPO firms like TaskUs or SupportYourApp that specialize in Mac, iOS, and Windows app customer support. This option is much cheaper and better for scaling, but the drawback is you’re sacrificing control to a third-party company and your outsourced employees usually won’t be as emotionally invested into your company as you are. No matter how you do it, upgrading customer support to reply to users immediately is the second key to earning great reviews. Give your users more motivation to leave a great five-star review by keeping your app’s content new and exciting. So how can you keep users coming back for more? In the app world, change is constant. You will always be battling to release something that stands out from the rest. Use current reviews to gain feedback on new features to consider or features to improve. Release often, users love to see consistent incremental updates, you’ll see a bunch of reviews thanking you for this. One bad update can cause a lot of bad reviews, it takes quite a while to recover from this. Go through your full QA process no matter how small the update is. Test, test, and test some more before you release any big updates and avoid an onslaught of 1 star reviews. According to Compuware, only 16% of users will try an app more than twice if they experience a bug. With the huge selection of apps available, even the smallest of errors can cause an app user to abandon your app. Use automated crash reports or customer service tickets to track these bugs and fix them as soon as possible. With these three proven tips to earn five-star app reviews, you can go from virtually unknown to one of the top results in the app store. P.S. If you have thoughts or any more helpful tips, comment below and I’d love to hear them!